I love fried chicken, in whatever shape or form. I'm one of the those people who really don't care about which chicken part I get as long as I get my fried chicken treat. I was invited last week to the preview of the soon-to-be newest Fried Chicken place in town - Birdhouse at the Food Hall in Uptown Mall BGC. An original concept by the Relish Group, the wonderful people behind Wee Nam Kee, Kumori Japanese Bakery and Osaka Ohsho, Birdhouse intends to redefine fried chicken by serving different sauces, aside from our beloved gravy. In Birdhouse, the ordering process is simple: get an order form an choose your meal from Barnyard A to E, your choice of sauce (Peach BBQ, Green Goddess, Truffle Ketchup, Garlic Ranch and Milk Gravy), your sides (Coleslaw, Garlic Fries, Elote Corn, Dirty Rice or Mac and Cheese), your drink, and dessert. Barnyard A (Php 165) has Birdhouse Chicken Tenders, Dirty Rice, one sauce, and crispy chicken skin. Barnyard B (Php 170) has 1-piece Fried Chicken, one side, one sauce, and crispy chicken skin. Steaks and milkshakes for a meal is never a bad idea, as agreed by the people behind the new restaurant concept, Sear Steak Scullery at Banawe Quezon City. Sear Steak Scullery opened two months ago by the same people behind Megawatt and Red Baron Ribs and Steaks. As told by Joyce Esteban, one of the owners, Sear is the upscale version of Red Baron, with more expensive selections of steaks and a variety of seafood dishes in the menu. We started with pan de sal with cilantro butter, a bowl of mushroom soup as the Soup of the Day (Php 99 for single, Php 185 for duo), Classic Caesar (Php 235 for single, Php 345 for duo) and Miso-Vinaigrette Salad (Php 193 for single, Php 303 for duo). Throwback to Good Times with McDonald's new Limited-Time Offer Desserts! 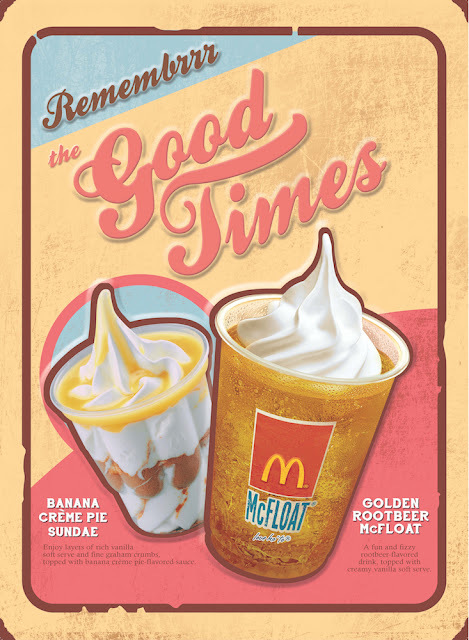 Starting August 19, customers can feel nostalgia as McDonald’s introduces two good old-fashioned desserts. These great-tasting and affordable treats will make customers reminisce happy memories and keep them craving for more. My weekend brunch was made special by a delivery by The Olive Treat, a venture by Marco Olives serving heirloom recipes to be shared with family and friends. I got to try the Stuffed Iberico Chicken (Php 500) and the Birthday Spaghetti (Php 900/pyrex). I love Okonomiyaki, but the good-tasting Okonomiyaki are quite rare in Manila until Dohtonbori opened here in the Philippines. 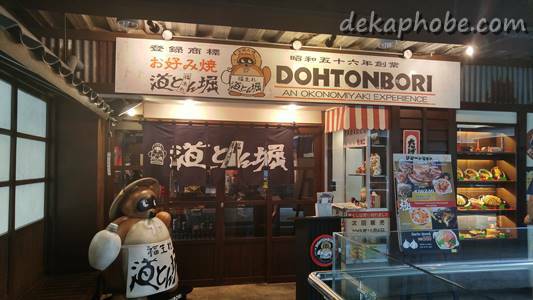 Dohtonbori is an Okonomiyaki chain from Japan, specializing in cook-at-your-table service. 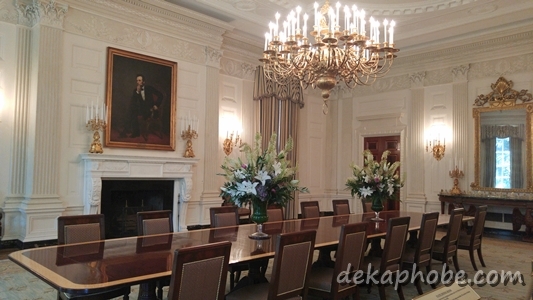 You may cook your own food but a staff will be more than willing to cook the food for you. We started with Omelette Yakisoba (Php 290), a stir-fried noodle dish with veggies and pork wrapped in omelette. Shakey's Pasta Festival and Mozzarella Cheese Sticks! A well-loved dish worldwide, pasta is a versatile meal that is full of flavorful possibilities. 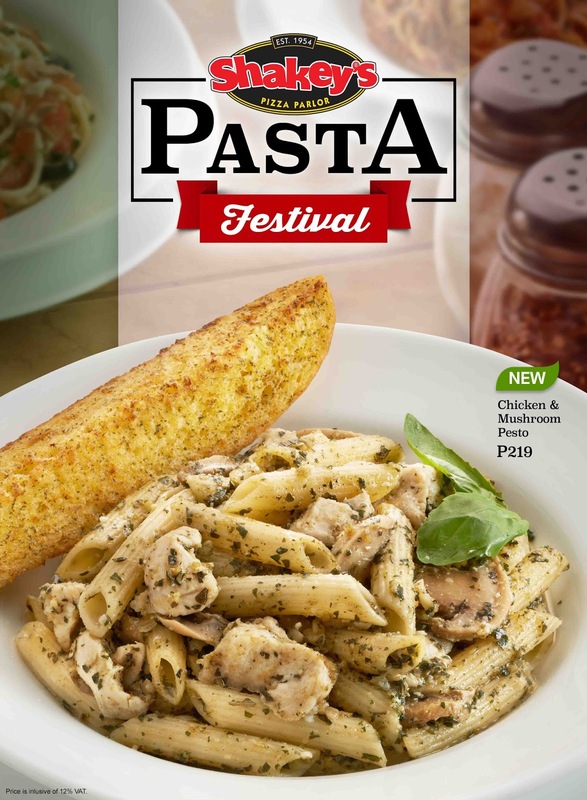 Shakey's is best known for its Thin-Crust pizza and Awesome Twosome Chicken 'N' Mojos yet their loyal Guests also return time and again for its wide selection of pasta dishes. 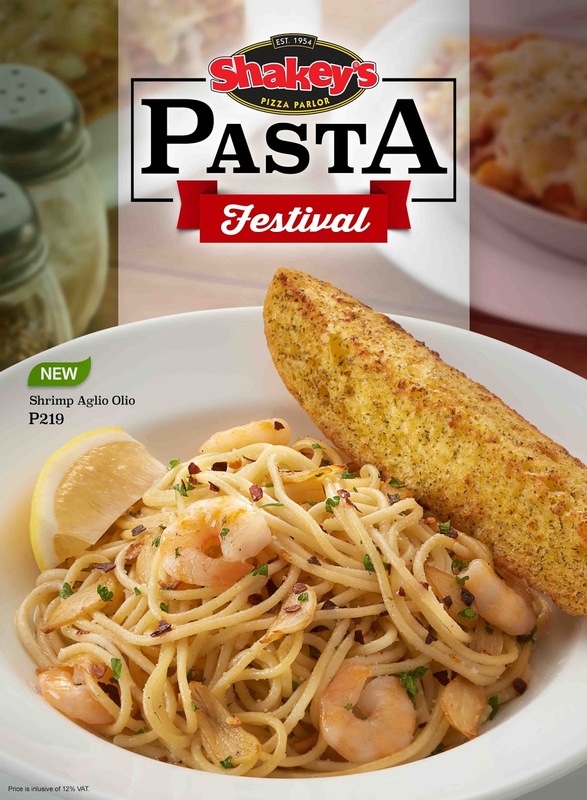 This August, everyone's favorite fun, family, pizza restaurant is having a Pasta Festival by celebrating this well-loved dish and launching two new menu offerings: the Shrimp Aglio Olio and the Chicken and Mushroom Pesto. Also, Shakey's is launching a new appetizer, the Mozzarella Cheese Sticks. 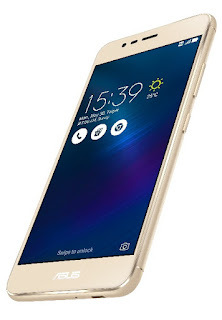 And to celebrate this blog's 5th anniversary, I will be giving away some prizes. The first giveaway is from Megawatt in Quezon City. for using renewable energy in their restaurant. Megawatt serves hand-tossed and thin crust pizzas, burritos, burgers and sandwiches. 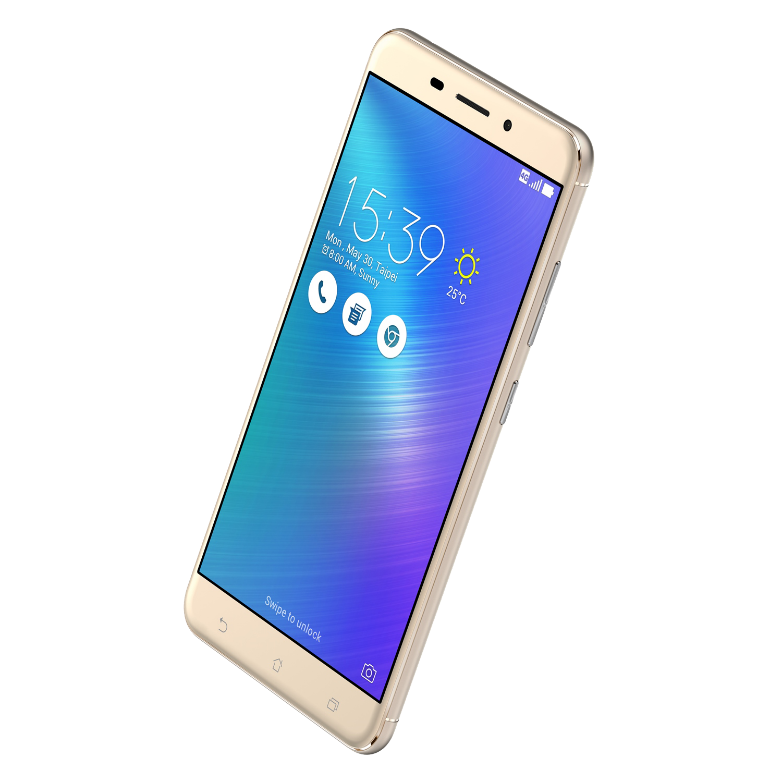 Megawatt also serves Fried Lasagna, Fried Chicken and rice meals. Applebee's Grill and Bar has opened their 2nd branch in the Philippines in Eastwood City Libis last July 4th which also happens to be the Independence Day celebration in the United States. Applebee's is one of the world's largest casual dining brands, with more than 2000 locations in 49 states and 15 countries. This place is amazing for lunch and dinner with family and friends as well as a drinking spot after work hours with colleagues and barkada. My foodie friends and I got to try some of their dishes and drinks. For appetizers, we had the Sriracha Shrimp (Php 445), Wonton Taco (Php 225) and Double Crunch Bone-in Wings Honey BBQ Flavor (Php 395).